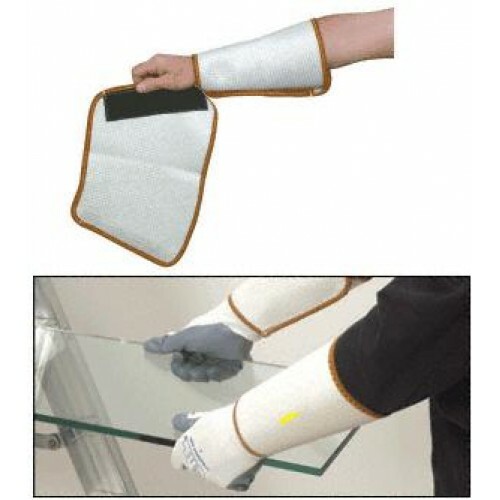 Wrist guards ideal for protecting wrists against cuts when handling glass and double glazed units. The nylon mesh provides ventilation, and the velcro strips make the wrist guards easy to put on and take off. 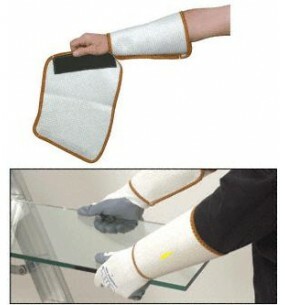 These are great for general glaziers, window factory workers, council workers or anybody who handles glass. Stitched with Kevlar®, they are comfortable to wear. Available in other sizes please enquire.